Why settle for one when you can have both? 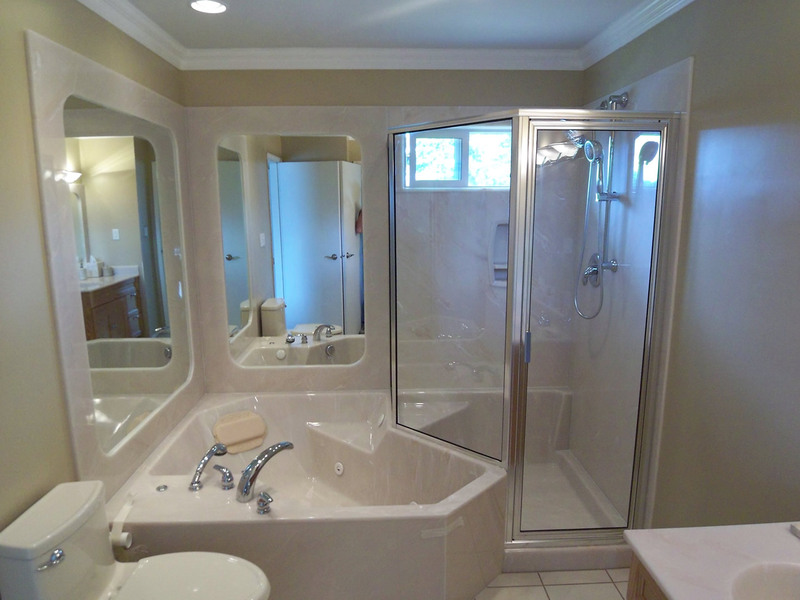 Sometimes a shower isn’t the answer, and neither is a traditional tub. For many people, the ultimate bathroom includes one of each. A cultured marble tub and shower combination from the experts at Precision Marble gives you the best of both worlds. Built to your precise needs, every tub and shower is unique and only limited by your imagination. Like all cultured marble, our bathtubs and showers are made with a composite of natural marble (granite, onyx and recycled glass also available) and chemical polymers. We then apply an extra thick gel coat that creates a smooth, non-porous surface. This produces a durable, waterproof barrier that ranges from 3/8” to 3/4” thick, which — unlike tile or stone — has few seams and never requires sealing or grout. Our cultured marble tubs and showers are much sturdier and long-lasting than one piece acrylic tub liners that can separate, crack, puncture or bubble over time. And because we build each marble tub from a custom mold right here in our Victoria factory, we can tailor styles and colours to your liking in half the time you’d get from a box store or plumbing supply outlet. 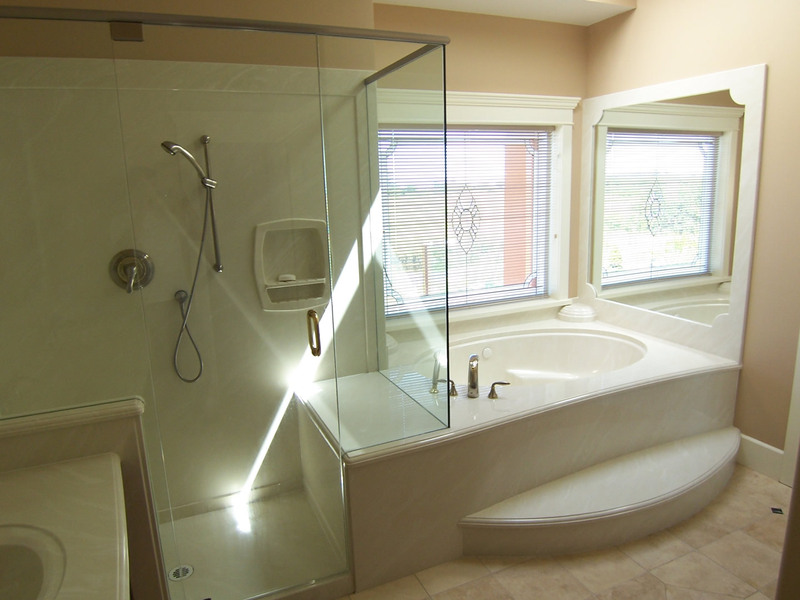 All tub and shower styles can be customized to fit and maximize your bathroom space. If you need help with designing or sizing your shower and tub combination, we will come to your home and do all the measurements. 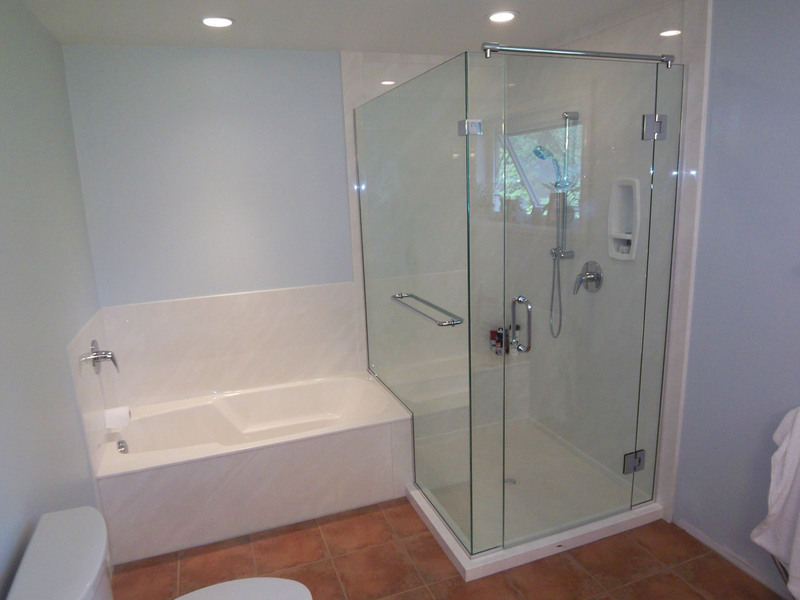 We can design your space to give you a functional and beautiful new bathroom. Installation is included in the cost, and can be done in as little as 4 hours. Everything is backed by a lifetime warranty, so you never have to worry about repairs or replacement again.